You’re invited to come and celebrate the seventh Redlands Festival of the Arts, Memorial Day Weekend, Friday, Saturday and Sunday, May 24-25-26, 2019, in Smiley Park. New for 2019 is our event kick-off Festival Concert Salute to the Troops, Friday, May 24, at 6 pm, featuring the Highland Music Company performing on the Redlands Bowl stage. 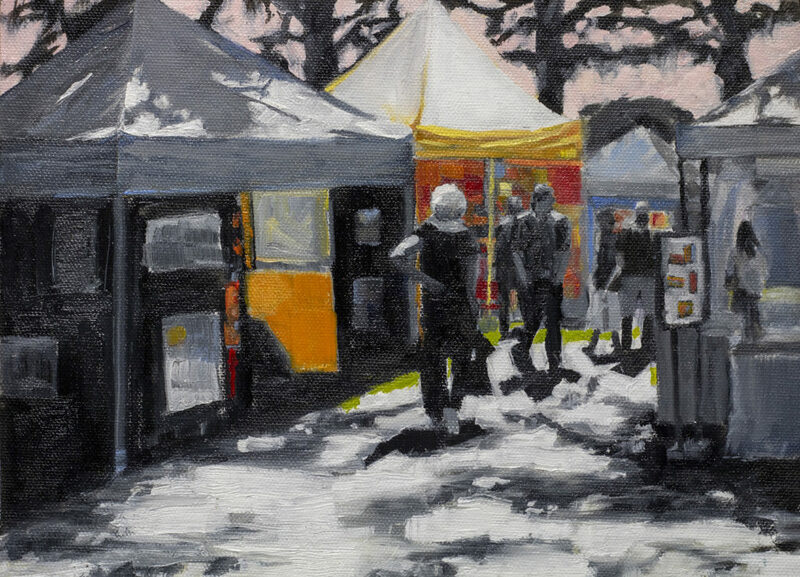 The Festival’s Juried Art Show and Art in the Park will follow over the weekend and be open Saturday and Sunday, from 10 am to 5 pm in Smiley Park. Come see over 100 talented artists exhibiting in multiple media to benefits local youth arts education. This year’s Festival Featured Artist is Diana McLaughlin, presenting “Festival 2019” as shown here. Also new for 2019 is the Youth Art Exposition–Showcasing Our Creative Kids, which is sponsored by the MCAEEF Committee of the Redlands Art Association. Come and experience the art, enjoy live entertainment daily, visit the Kid’s Fun Zone and explore the Smiley Library and Lincoln Shrine. Top it all off with a glass of local craft beer or wine paired with our tempting Inland Empire cuisine favorites.